About the author: Victor Buencamino (1888 — 1977). Father of Felipe Buencamino III, whose diary is also in this project. Assistant Director of the Bureau of Animal Industry, 1930. Director, 1933. Acting Director (concurrent) of the Bureau of Commerce, 1934. Acting Undersecretary of Agriculture and Commerce, 1934-35. Vice-President and Manager, National Rice and Corn Corporation, 1936-1943. Vice-Chairman, National Produce Exchange. Food Administrator, Civilian Emergency Administration, 1941-42. About the diary: The entries are taken from two sources. The first is Memoirs of Victor Buencamino, Historical Conservation Society (Vol. LIX) Manila, 1996. This is the second edition of the work. The portions reproduced here are excerpts from the author’s diary, as mentioned in his memoirs. 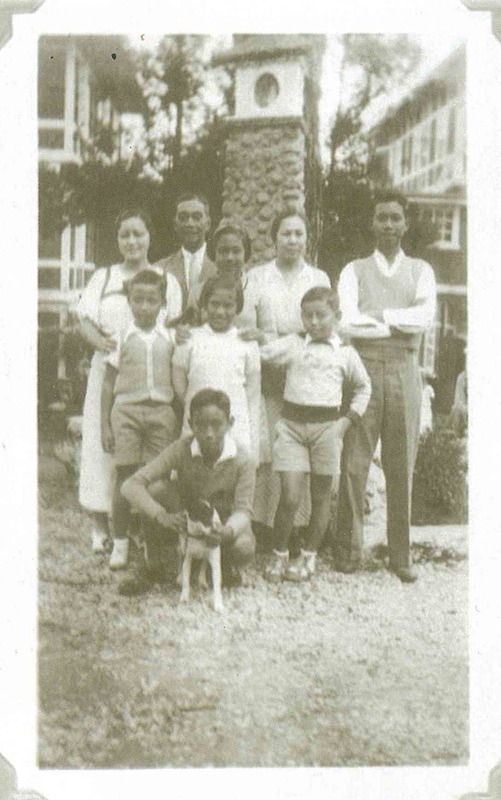 The second is Manila Under Japanese Occupation (Jan. 1—April 30, 1942) (Fragment of Wartime Memoirs of Doctor Victor Buencamino) published in the Bulletin of the American Historical Collection Vol. 7 No. 3 (28) July 1979; Vol. 7 No.4 (29) October 1979; Vol. 8 No. 1 (30) January, 1980; Vol. 8 No. 2 (31) April 1980; Vol. 08 No. 3 (32) July 1980. 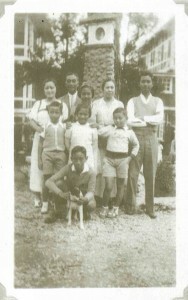 The entries as published, are used here with the kind permission of Mr. Victor Buencamino Jr.
Victor Buencamino (2nd from left, 2nd row in brown suit) with his family.